The Missouri Library Association will host its annual Library Advocacy Day on Tuesday, February 26, 2019 from 9:30 a.m. to 5:00 p.m. in Jefferson City. Registration for Library Advocacy Day is now closed. Librarians, library trustees and friends from across Missouri come together on one day to meet with State Representatives and Senators to discuss the importance of all libraries — academic, public and school — and their contributions to the lives of Missourians. By coming together in Jefferson City on Missouri Library Advocacy Day, we promote libraries in a visible way, and by our numbers, show the importance of libraries state-wide. Face-to-face discussion is the most effective means of communication and is essential to the establishment of a solid working relationship. While this event is important, it is only one communication with your legislators. Your meeting with your legislator should make it easier to contact him/her during the session as issues arise and we ask for your support. Building long term relationships with your legislators is the key to effective communication. This event is a great opportunity to begin building relationships with your elected officials. Even if you aren’t able to visit the capitol, you can still take action on behalf of your library through our Virtual Advocacy Campaign. Click here to start [http://cqrcengage.com/alamo/app/take-action?engagementId=496962]. First, fill out the form with your residence address. We ask that you use your residence address so that the system will target your specific legislators. If you are a Library Director and want to use your library’s address, that is acceptable, but our legislators prefer to hear from the constituents in their districts. After submitting the form, you will see the names of your legislators and the letter that we have drafted to send to those legislators. It is a standard message, so all you will need to do is click the Submit button. The campaign will be open until March 7th. It’s that easy to advocate! MLA Legislative Priorities 2019 (PDF) (Word) – make sure you are familiar with these. 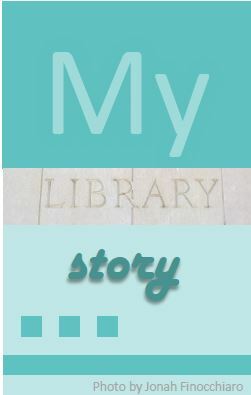 My Library Story logo: right-click to save a copy of the logo image above.